Two papers published yesterday in Nature present an updated timeline for the occupation of Denisova cave by Neanderthals and Denisovans. The new research suggests the Denisovans—a sister species to the Neanderthals—made this cave their home for a longer period than Neanderthals, first venturing into the cave as far back as 287,000 years ago. Neanderthals arrived at the site around 140,000 years ago, possibly sharing the space with the Denisovans for thousands of years. It’s further evidence that Neanderthals and Denisovans interbred—and that this co-mingling happened at or near Denisova. Archaeologists and palaeontologists have carefully sifted through Denisova cave for the past 40 years, pulling out various animal and Neanderthal bones. But the real bombshell came in 2010 with the discovery of a finger bone from previously unknown human species, the so-called Denisovans. Genetic analysis suggests the Denisovans were a related species to the Neanderthals, but pretty much everything else about them remains a mystery, such as when they first appeared on the scene and when they died out. To overcome these hurdles and limitations, a multidisciplinary team of researchers from around the world, including from Russia, the UK, Australia, Germany, and Canada, spent the past five years analysing bones and artefacts found in Denisova cave. 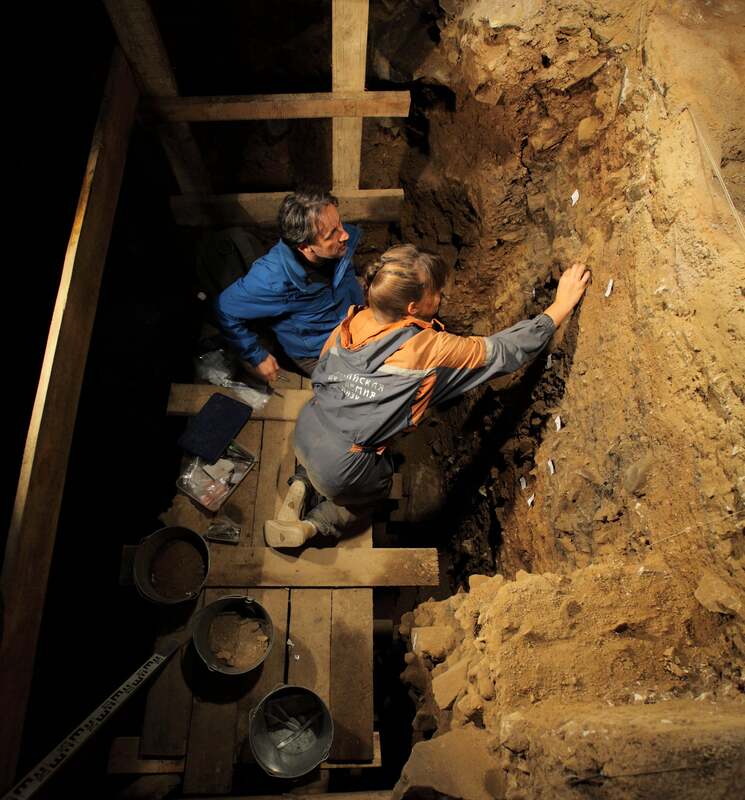 The researchers used multiple dating techniques, both well-established and cutting-edge, and statistical techniques to date thousands of items at the site, allowing them to piece together the most accurate and detailed timeline to date of human occupation at Denisova cave. The first study, led by Zenobia Jacobs and Richard Roberts of the University of Wollongong in Australia, presented new dates for Denisova cave sediment deposits. To date these deposits, and by consequence the bones and artefacts within, the researchers used a relatively new technique called stimulated luminescence, in which scientists can tell the last time a mineral grain, such as quartz, was exposed to sunlight. Dates were provided for 103 sediment deposits spanning 280,000 years of history in the cave. Results from this work showed that Denisovans first occupied the cave around 287,000 years ago, and continued to live in the cave until around 55,000 years ago. Neanderthals arrived at the cave around 193,000 years ago, and they continued to live there up until around 97,000 years ago—an overlap of 96,000 years. The bones of 27 animals, including mammals and fishes, along with 72 species of plants, were also analysed, pointing to a variable climate in the region during the millennia of occupation at the cave. At times, the region was relatively warm, featuring forests of broad-leaved trees, but at other times it was a harsh and desolate tundra-steppe habitat. A major implication of the Jacobs and Roberts study is the suggestion that Denisovans and Neanderthals hunkered down in the cave together. Now, it’s possible the two species didn’t share the space concurrently, but recent evidence suggests they probably did. In an astounding find from last year, a group of scientists, some of whom are co-authors of this new study, uncovered genetic evidence of a hybrid archaic hominin, dubbed Denisova II, who lived in the cave 90,000 years ago—a girl with a Denisovan dad and a Neanderthal mum. This evidence, along with other lines of research, suggests the two species interbred regularly, and that this wasn’t just an isolated case. The second study, led by Katerina Douka from the Max Planck Institute for the Science of Human History in Germany, offered new dates for Neanderthal and Denisovan fossils, along with tooth pendants and bone points found at the site. Douka’s team used multiple techniques to indirectly and directly date thousands of bone fragments and artefacts, including radiocarbon dating and uranium-series dating, both of which take advantage of known rates of radioactive decay. “This is the first time we are able to confidently assign an age to all archaeological sequence of the cave and its contents,” Tom Higham, an archaeologist at the University of Oxford and a co-author of the new study, said in a statement. 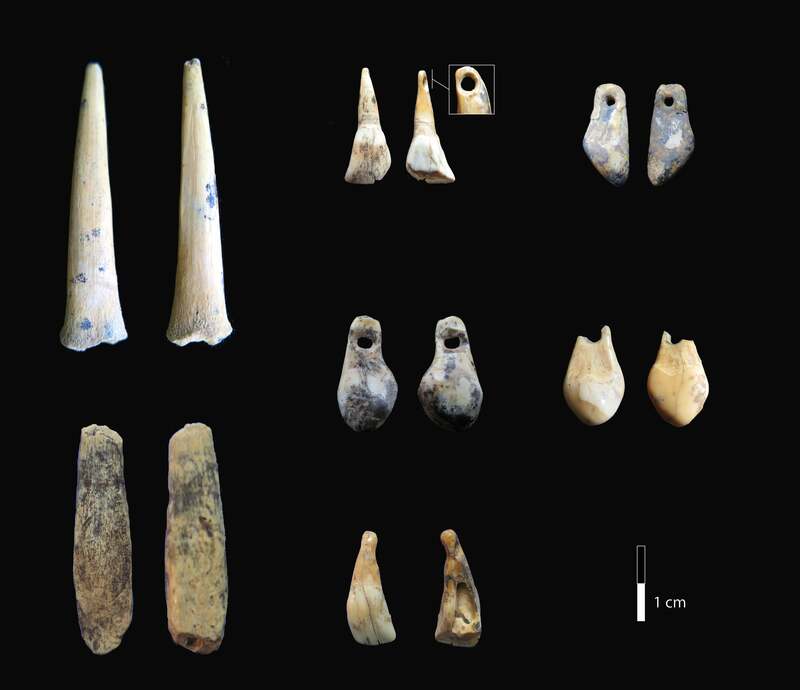 The artefacts found at the site, such as bone points, pierced teeth, and pendants, were dated to between 49,000 and 43,000 years ago, and they’re now the oldest artefacts ever uncovered in northern Eurasia, according to the Douka paper. Trouble is, these dates are thousands of years after the last evidence of human occupation appears at the cave. Denisovans were the likely manufacturers of these items because it’s the simplest explanation, given that Neanderthals were long gone from the cave by then, and no evidence of modern humans exists at the cave, according to the new research. But anthropologist Chris Stringer from Britain's Natural History Museum isn’t convinced these items belonged to the Denisovans.